"Roseanne" was canceled just a few days ago. ABC is already talking about a way to bring a version of the show back -- without its namesake Roseanne Barr. The talks with production company Carsey-Werner, which owns the show, are preliminary, according to two sources with knowledge of the matter. But the idea is definitely enticing to ABC. A re-reboot could help keep many of the "Roseanne" cast and crew members employed. Many critics have bemoaned the fact that more than 200 people lost work when the sitcom was cancelled on Tuesday due to Barr's racist and bizarre tweeting. TMZ first reported on Friday that "the powers that be at ABC are exploring the possibility of re-branding the show and focusing on the character Darlene instead of Roseanne." The sources confirmed this to CNN, but cautioned that any deal is complicated by Barr's relationship to the show and Carsey-Werner. Depending on the terms of Barr's contract, the production company may have to buy out her stake in the show. "Barr has a significant financial interest in the series, and there is concern that a new iteration that would benefit her financially would be a non-starter for everyone involved," Variety reported earlier this week. One of the sources said ABC executives would regroup next week to talk about the options. Barr has expressed regret about the cancellation of the show. She tweeted on Thursday night that she "begged" ABC to keep the show on the air. 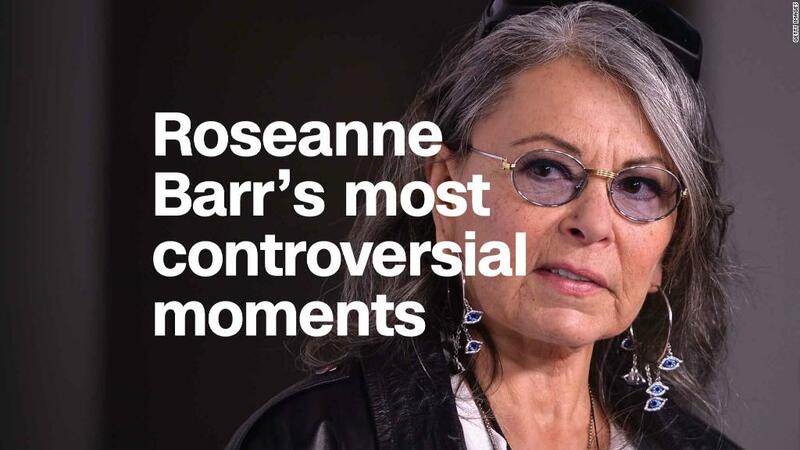 But ABC decided it had to pull the plug because Barr had damaged herself and the sitcom with her reckless tweets, including one that compared Valerie Jarrett to an ape. Ever since the cancellation announcement, "Roseanne" fans have buzzed about possible ways to reimagine the show. On his ABC late-night program, Jimmy Kimmel imagined a version of the series simply titled, "Dan." The ideas were not entirely far-fetched. "Roseanne" has killed off cast members before -- Goodman's Dan Conner was revealed to have died in the original series finale -- so why not kill off the matriarch and keep it going? When asked about this on Wednesday, a well-placed source left the door wide open. It is "too soon" to talk about resuscitating the family sitcom, the source told CNN, but "there will be a time to sit down and look at all the options." Apparently that time has already come.